Charles Bernard “Butch” Hammel, age 87 of Carlyle, passed away at HSHS St. Elizabeth’s Hospital in O’Fallon, Illinois on Wednesday, April 3, 2019. Mr. Hammel was born on December 15, 1931 in Huey, Illinois, a son of the late Barnhard and Agnes (Wilken) Hammel. He married Lucy Mae Lanham on September 9, 1951, in Boulder, Illinois, and she survives in Carlyle. In addition to his wife Lucy Mae, Butch is also survived by his children – Jeanette Reynolds and husband Gary of Albers, IL, Sandy Wehking of Centralia, IL, Bob Hammel and wife Kim of Carlyle, Gail Odaniell of Carbondale, IL, and Kim Holtmann and husband Dale of Albers, IL; his grandchildren – Greg and Amy Reynolds, Kris and Mike Nulsen, Jeff Wehking and friend Vanessa Frank, Brett and Courtney Wehking, Kevin Hammel, Angie and Andy Holtkamp, Jessica Hammel, Megan Odaniell, and Haley, Travis, and Kyle Holtmann; his great grandchildren – Brady, Jack, and Sam Reynolds, Mallory, Miles, Mason, and Lilly Wehking, Bennett and Charlie Holtkamp; his in-laws – Chuck and Ruth Tull and Darlene Bast; and numerous nieces and nephews. Mr. Hammel was preceded in death by his parents; his siblings – Lloyd Hammel and wife Mae, Buck Hammel and wife June, Virginia Goldsmith and husband Bill, and Betty Ann Hammel; his mother and father in law - Irvene and Ethel Lanham; and his in-laws – Wayne and Maxine Lanham and Delmar Bast. Mr. Hammel worked in the oil field in his early years before becoming a Clinton County Deputy Sheriff. He retired from the Illinois Department of Conservation as a ranger at Eldon Hazlett State Park. Butch was a longtime supporter of Ducks Unlimited and had received that Lifetime Achievement Award and Silver Teal Award from DU. He proudly served his country in the United States Army, 2nd Combat Engineer Battalion, 2nd Infantry Division during the Korean War. His memberships included the Carlyle V.F.W., the Beckemeyer American Legion, the Clinton County Historical Society, and the 2nd Engineer and Infantry Divisions Association. Butch was an avid outdoorsman and spent a lifetime hunting and fishing. This love of the outdoors was reflected in the many wood carvings that he created, many of them donations to various fund raisers or gifts to family and friends. He loved country-western music and was an accomplished guitar player and singer, providing entertainment at many family get-togethers. Butch was a die-hard Cardinals fan and if they would have only listened to him, would have been in the World Series each season. He had a great sense of humor and always had stories to tell, especially about his youth growing up in Huey. But, most of all, he loved spending time with his family and will always be remembered by his kids, grandkids, and great grandkids. 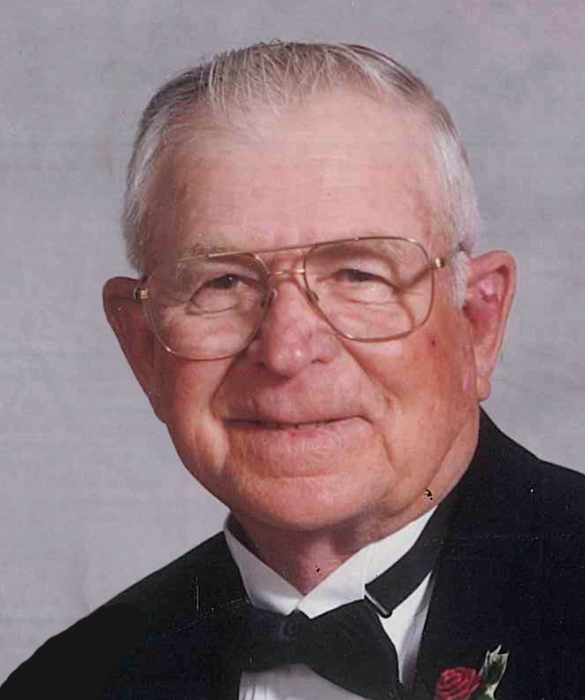 Funeral service for Mr. Hammel will be held at 10:00 A.M. on Monday, April 8, 2019, at the First United Methodist Church in Carlyle with Rev. Robert Souders, officiating. Interment will follow at Carlyle Township Cemetery. Visitation will be held on Sunday, April 7, 2019, from 2:00 – 6:00 PM at Zieren Funeral Home, and on Monday, April 8, 2019, from 9:00 – 10:00 AM at the First United Methodist Church in Carlyle. Expressions of sympathy in memory of Mr. Hammel are suggested to the Huey Methodist Church. Memorial donations will be received through Zieren Funeral Home in Carlyle.